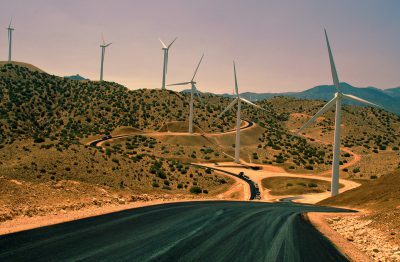 The State of California is committed to sourcing 50% of electricity from renewable sources by 2030. This transformation will lead to significant greenhouse gas reductions and has the potential to increase regional jobs, improve air quality, and improve energy reliability. Half of California’s electricity will come from renewable sources by 2030. Building’s are responsible for nearly half of GHGs in LA County, retrofitting these buildings will reduce energy consumption, lower electricity bills and increase the feasibility of renewable energy options. Emerging energy storage technologies will increase the feasibility of zero carbon buildings and also increase community resilience to power outages and high heat emergencies. Regional collaboration across jurisdictions and sectors is essential to ensuring that the potential regional benefits of this transformation are not merely met, but are maximized. Expand the local feed-in tariff program (e.g. offering additional capacity and opening the program to larger projects). Simplify state and municipal Net Energy Metering requirements to identify areas of improvement to encourage greater customer participation. Promote the implementation of asset-owning Community Choice Aggregation in investor-owned utility territories and explore other alternative utility models. Identify opportunities for community solar projects and support the implementation of such projects in both the Southern California Public Power Authority (SCPPA) and Southern California Edison (SCE) areas of Los Angeles. Identify barriers to increasing solar generation in disadvantaged communities and develop programs to overcome them. Assess grid modernization needs based on more renewable and distributed technologies, and develop equitable financing and funding programs. Expand the SCPPA utilities’ feed-in tariff program to allow larger and more sources to participate. Create permitting and other financial incentives (such as strong net metering programs) to develop more locally generated renewable energy. Ensure that storage resources are created to reduce dependence on natural gas peaker power plants. Identify opportunities to produce agricultural and biological waste-capture and renewable natural gas in Los Angeles, and develop and support incentive programs to implement such projects, based on adequate cost-effectiveness and emissions performance, among other metrics. Support energy performance disclosure and data management. Accurate energy performance data must be collected, organized, analyzed, integrated, and made appropriately available to market actors and decision makers. Use the date collected to establish baselines. Utilize standardized and open source tools for benchmarking, energy assessments and audits, and building retro commissioning in commercial and public buildings, such as ENERGY STAR Portfolio Manager, the Department of Energy Building Energy Data Exchange Specification, and the Building Energy Asset Score. Support California-specific tools that are compatible with these federal tools and standards. Develop a region-wide energy data portal that tracks energy consumption among residential and other users, monitors impacts of implemented policies, and provides decision making support, building on the UCLA Energy Atlas. Focus energy retrofits in neighborhoods and building types with the lowest efficiency. Develop performance-based policies, programs, and incentives. Develop standards for Title 24 permit tracking software in order to organize and standardize the vast amount of data not electronically captured by the majority of land use and retrofit permitting jurisdictions (i.e. local governments). Develop and implement solutions to increase compliance with, and enforcement of, California’s Building Energy Efficiency Standards for alterations to existing buildings. Require energy audits and/or retrofits at time of sale or renovation for commercial and residential properties. Establish multi-scaled utility billing tiers to incentivize energy efficiency in residential and commercial buildings to the extent permitted by law. Establish peer learning and training capacity for building inspectors. Develop region-wide incentive and training programs for contractors to improve code compliance. Focus energy retrofits in a way that will prioritize and maximize their health benefits. Include public health outreach and education, particularly around heat, during the energy audit and retrofit process. Develop a cross-jurisdictional campaign to retrofit existing buildings and to leverage resources from multiple partners to build overall capacity in the field. Develop collaborative purchasing partnerships among governments to reduce the costs of retrofitting municipal buildings, such as neighborhood-level retrofits through cooperatives or neighborhood councils, via a regionally supported revolving fund. Develop Measured Performance Compliance Pathways for the upcoming Building Energy Efficiency Standards rulemaking at the California Energy Commission. Develop a standardized approach and tool for collecting and electronically tracking building permits in an analogous way to the oversight of Title 24 compliance through specialized software programs. Implement a “square foot tariff” for buildings using over a certain threshold of energy per square foot. Promote adoption of California Green Building (CalGreen) Tier 2 standards or equivalent or better throughout Los Angeles. Promote the adoption of “cool roof ordinances” for new buildings across the county, following on the models of Los Angeles and Pasadena. Evaluate the potential for net zero energy requirements for new construction and support implementation of such requirements where feasible, at potentially a faster timetable than what the California Energy Commission envisions. Conduct a vulnerability assessment to determine areas and critical facilities at risk of energy disruptions due to climate change-related events (e.g. sea level rise; more frequent and intense storms; more frequent, longer, and intense heat waves; more frequent, longer, and intense droughts, etc.). Identify areas or facilities where energy storage, voltage regulations, and microgrids can improve energy management or ensure functionality during climate events, and develop programs and policies to support deployment. Conduct energy master planning efforts by local governments in order to make data-driven decisions for optimal investment in energy infrastructure. Develop programs to enable solar-powered EV charging in multifamily units. 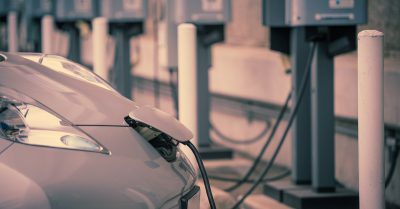 Assess whether, how, and to what extent EVs can help provide energy storage to support the electric grid. Implement smart or living streets to reduce the urban heat island effect (and which can also help capture stormwater for groundwater recharge). Develop new and/or expand existing programs to increase the urban forest or shade structures to reduce the urban heat island effect. Implement cool roof and cool surfaces programs across the region, particularly in the most impacted communities, while balancing the potential harmful effects of potentially more daytime heat in the immediate areas from these reflective surfaces. Identify priority urban heat island retrofit areas, where the negative impacts are greatest and the potential benefits of cool surfaces are most needed.